We at The Stained Glass Studio are a Father and Son run partnership that has over 30 years of experience, we are based in Worcestershire in the West Midlands but travel far and wide. 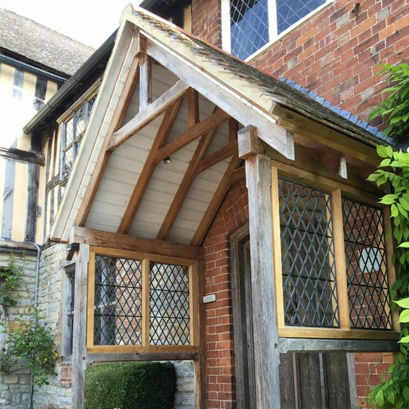 We create bespoke designed leaded lights and decorative door panels that fit in seamlessly with the character of the property, using medieval traditional methods to gain the highest standards and craftsmanship. 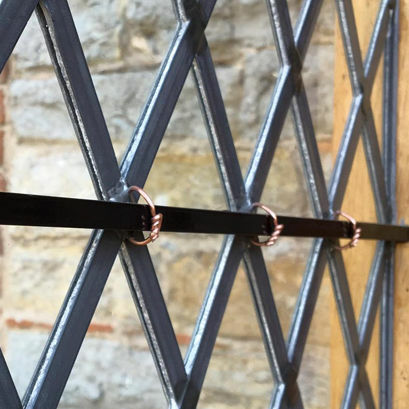 Over the past 30 years we have worked very closely with English Heritage and National Trust on many projects with the main aim in conservation of the past by using our knowledge and traditional skills to achieve the desired results. We work with many skilled architects and contractors on listed buildings throughout the United Kingdom and also many domestic properties, whether it be a tired leaded light that needs rebuilding, a front door that deserves that wow factor or simply a few cracked pieces of glass that we can repair in-situ. 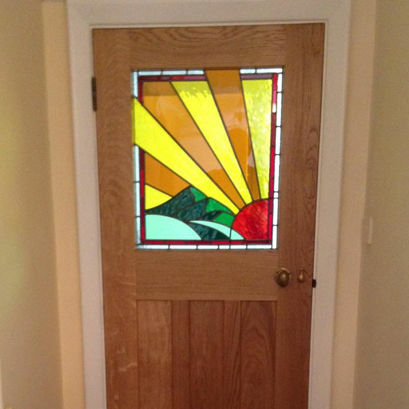 At the stained glass studio our main speciality is the renovation of leaded lights in churches, historic building and the bespoke design and construction of front door panels to private buildings. 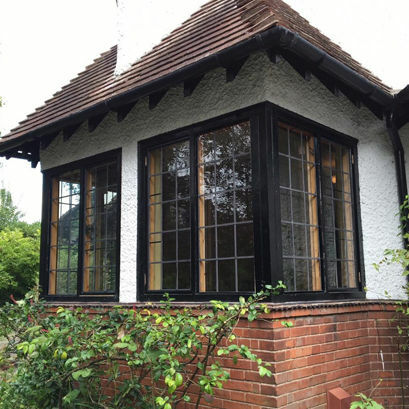 We also renovate antique style metal casements to restore them to their original glory. Malcolm started the company in 1984 after many years at Worcester porcelain as a figure maker, he started making sun catchers and terrariums as a hobby but then soon became so popular that he decided to go ahead with it full time. These sun catchers soon became windows and door panels and as they say the rest is history.